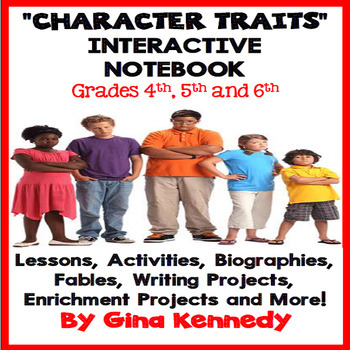 Character Traits Interactive Notebook, Complete Unit! 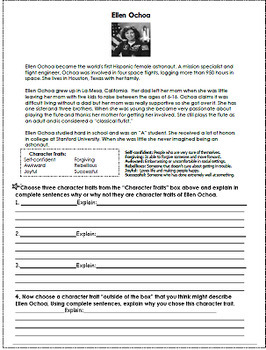 A complete unit on character traits with a thorough example list, follow up activities with famous Americans, biographies, fables, news articles, passages, directed writing activities and more! 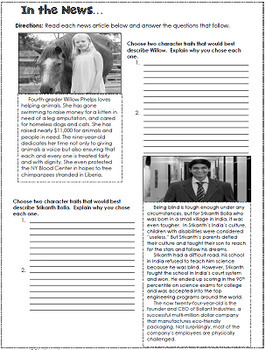 After completing the activities students will complete enrichment projects from the enrichment project menu! Print and go character trait activity! A thorough character trait list. 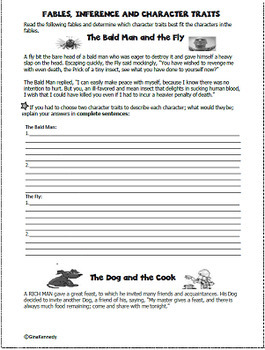 Character trait lesson with follow-up response activities.